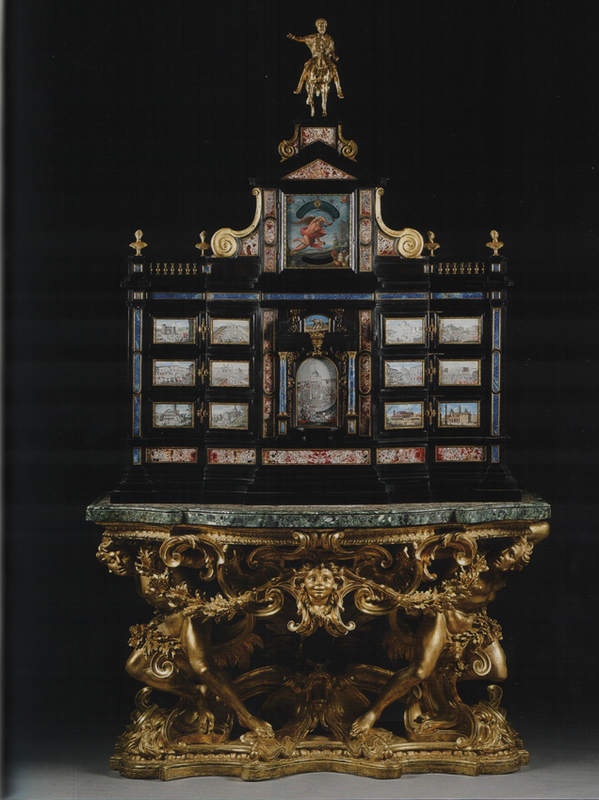 This rare 350-year-old cabinet made by Baroque artisan Giacomo Herman (1615-85) valued at £3.3m has been temporarily barred from export form the UK. The German furniture-maker was Rome’s leading cabinet maker during the 1660s and 1670s and worked for successive Popes and a number of leading Italian families after settling in Rome in 1655 where he entered the papal service. Arts Minister Michael Ellis said “documented works of significance from this period are very rare and this ebony veneered cabinet is one of four created in Herman’s workshop between 1669 and 1678”. One of the cabinets sold at Sotheby’s in December 2007 for a premium-inclusive £1.08m. The cabinet is valued at £3.3m and the government is hoping a UK buyer will come forward by July 8, 2019. This date could be extended until November 8 if a buyer with a serious intention to raise funds comes forward. The government issued the export bar to the owner of the cabinet following a recommendation from the Reviewing Committee on the Export of Works of Art and Objects of Cultural Interest (RCEWA) which made its decision on the grounds of its “outstanding significance to the study of Baroque decorative art and cultural history”. RCEWA committee member Christopher Rowell said: “The cabinet has been recently reunited with its original cresting: a reduced gilt bronze copy of the Antique bronze equestrian statue of the Emperor Constantine, which Michelangelo placed in the centre of his Piazza di Campidoglio, Rome.